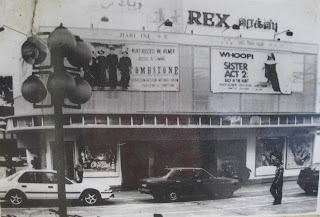 NOT so long ago when movies were a major entertainment in Johor Baru, two of the most important landmarks in Jalan Wong Ah Fook must be the Rex and Lido theatres. 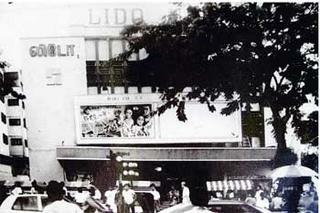 Rex and the newer Lido stood adjacent to each other and were also accessible from Jalan Trus. Further down the road in the heart of the city stood Capitol and closer to what was known as Chinatown was Broadway. 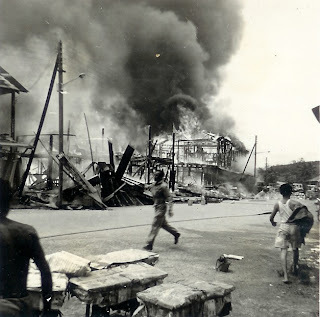 Perched on a hillock in Jalan Bukit Meldrum was Cathay, which was torn down to make way for the Customs, Immigration and Quarantine complex. 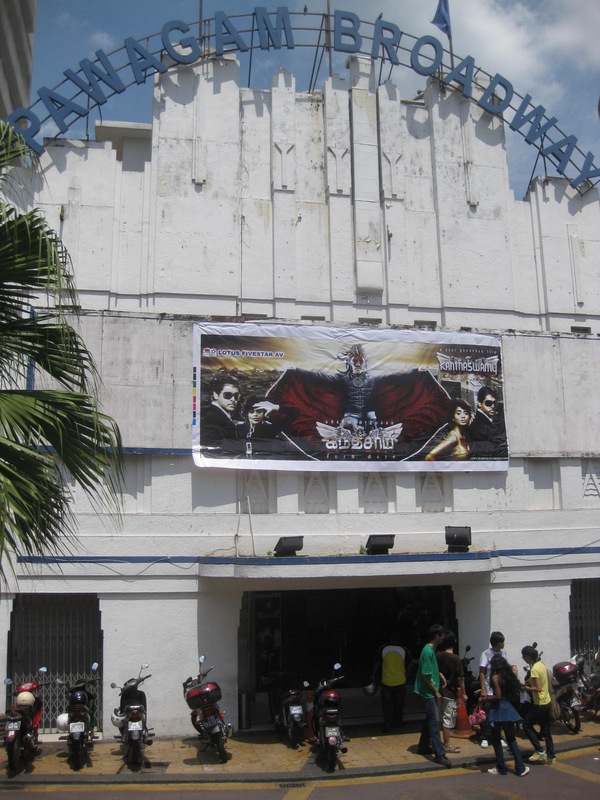 Today these movie theatres are mere memories because they no longer exist. Cineplexes were opened in shopping malls and while some retain their original names, Broadway is the only theatre that continues to operate in its original location. Going to the movie theatre today is an excursion enveloped in the sickening smell of popcorn. One has to squint at the screening times on a constantly changing screen, and join a long queue for tickets sold through a sophisticated computerised system. Since good movies are coming to cable television quite quickly, I can now enjoy box-office hits in the comfort of my own home. In fact, there was virtually no reason to go to the movies anymore until recently. Michael Jackson beckoned and I couldn't resist going to see his limited-screening, posthumously-released docu-movie, This Is It. 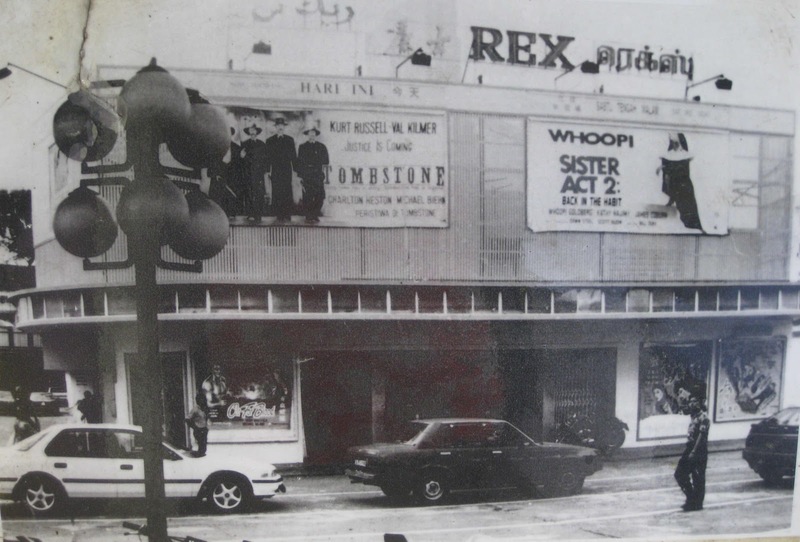 Maybe it was Michael or the pure nostalgia of a movie theatre experience, but it brought back a flood of memories of the time when Ah Kong, or grandpa, used to take us to morning shows at Rex or Lido. My siblings, two cousins and I lived with our grandparents in Jalan Ngee Heng for a few of our school years. On Saturdays, after finishing our chores, we can anticipate a movie outing with Ah Kong. We would troop off together in a brisk walk, keeping safely to the stony road edges because there were no street pavements in those days. Besides the fascinating street sights and sounds, I can vividly remember being assaulted by the strong stench of Sungai Segget as we made our way down Jalan Wong Ah Fook. We would cross this river to reach the theatre and at high tide I could see the variety of flotsam and at low tide, there would be rats huge as cats, feeding on fetid food. Thankfully, this river has undergone a complete clean-up. Covered with paving, it has been transformed into a pedestrian walk. Matinee and morning shows in those days cost a mere 80 cents. If the show was popular, we sometimes ended up with tickets for the dreaded front-row seats. It was uncomfortable, to say the least, to have to sink down into the seat and angle our heads almost horizontal to watch the screen. It's small wonder that I would leave the theatre with a neck ache, ghastly nausea and little recollection of the movie. One of the treats that was part of the outing was a stop at the snacks stall where we could choose our favourite sweets. I would either pick a tube of cool Mentos mints, chewy Roundtree fruit gums or juicy fruit pastilles. 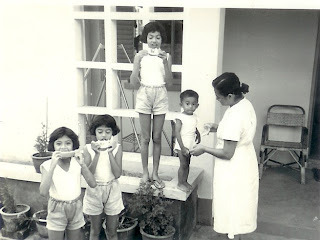 Sometimes we also had newspaper cones filled with kacang putih from an Indian vendor on a bicycle, but we were not allowed to the slices of fresh fruits on sticks because Ah Kong said we had plenty of fruits at home. Thanks to Ah Kong's taste for tales of the Wild West, I got to know swashbuckling heroes like John Wayne, Yul Brynner and Lee Marvin at an early age. It was an educational and entertaining time as I learnt about Red Indians, teepees and tomahawks, and the never-ending hostility between white men and natives. After bar brawls and gunfights, the suave sheriff would always be the voice of authority and reason. It became predictable -- the white men were always victorious -- so I started to look for my hero in the underdogs, who were more macho-looking anyway, in my opinion. In those days, our movie viewing pleasure was not interrupted by ringing handphones because nobody had them then. Instead we would hear a "click-clicking" noise throughout as the viewers cracked kuaci or melon seed shells. Besides having to put up with people chatting, giving a running commentary or translating the dialogue into one of the local languages or dialects, one also sometimes gets one's seat rudely kicked from the back. Worse, some uncouth creatures would even put their legs up on the chairs in the row ahead. As upper secondary students, my friends and I saved money to go to the matinees. 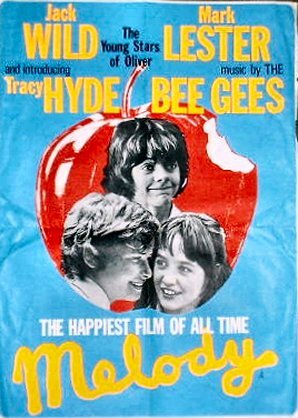 I will never forget the movie Melody better known as SWALK or "Sealed With A Loving Kiss". 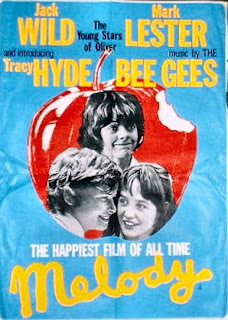 It's a tender love story starring the cherubic Mark Lester, told from the children's viewpoint and the soundtrack was full of memorable hits by the Bee Gees. Incidentally, when he surfaced recently in the news claiming links with Michael Jackson's children, I saw that he had not aged gracefully. But Lester did play a charming Oliver Twist in the musical while Jack Wild was the perfect Artful Dodger. I can still recall Fagin singing: "I'm just reviewing the situation!" After countless re-watches, I learnt all the lyrics to the songs in my favourite musicals like The Sound Of Music, My Fair Lady, The King And I and even managed to wind my tongue around the absurd word "Supercalifragilisticexpialidocious!" in a song in Mary Poppins. I remember how The Sound Of Music and epics like The Ten Commandments and Ben Hur were so long that there was even an intermission for them to change the film reels and for us to dash to the toilet. My love affair with movies continues and while I enjoy romantic comedies, epic adventures and psychological thrillers, my taste developed into a preference for movies made from books. My all-time favourites include The Bridges Of Madison County, a classic by Robert James Waller about a passionate but ill-fated four-day affair between a National Geographic photographer and a housewife in Iowa. 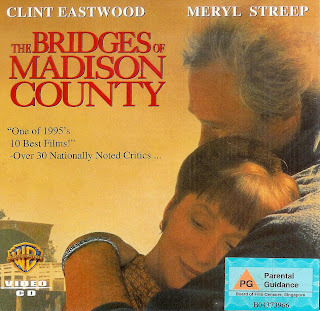 It's entirely fiction but with Clint Eastwood and Meryl Streep in the lead roles, it seemed so real. A more recent favourite is The Constant Gardener, a novel by John le Carre told in flashback style about a pharmaceutical company's exploitation of Africa, with the leads played by Ralph Fiennes and Rachel Weisz. There's something magical about going to the movies and it remains one of the staples for a first date probably because you can sit with your date for several hours without making serious conversation. Movies are an excellent way to unwind or escape into another realm and get involved with the lives and issues of the screen characters for a while. It's fun to indulge in movies every now and then and perfectly all right to cheer the underdogs on when they are winning, scream aloud at shocking scenes or simply shed some silent tears, or even break into sobs, in tender moments. After having spent 13 formative years in Masai, PEGGY LOH has fond memories of a town her classmates dubbed Masai-chusettes. IN Geography class in school, I learned that the Masai is an East African tribe that drank cow’s blood mixed with milk. So when my parents had a job transfer to Masai, I panicked because I thought they were being posted to East Africa. What a relief it was to learn, after listening to their discussions, that Masai was a town 16 miles from Johor Baru. An hour’s drive along a winding road fringed with rubber trees took us past the police station into Masai. On the same road, there was a Chinese cemetery with a post office next to it and film theatre on the opposite side. I’d never been to the open-air theatre but it had the dubious reputation of having seats infested with bugs! With one main street bordered by rows of dilapidated shops, Masai looked like a wild-west cowboy town. 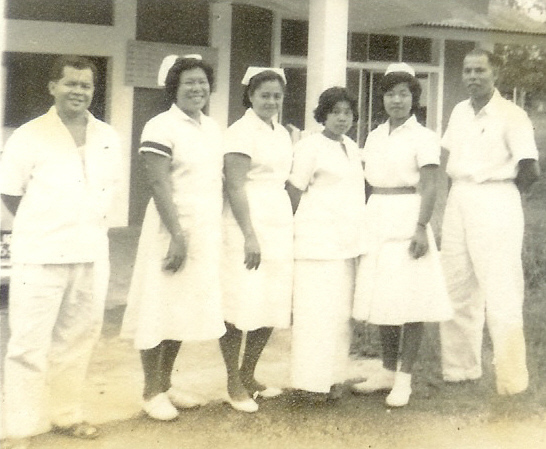 We moved into staff quarters 2174, Jalan Sekolah, in the Government Health Centre compound. This was our home for 13 years until dad retired in 1977. On that same road was the Penghulu or headman’s house and Balai Raya or community hall. A Tamil primary school was directly opposite our house, so the road was always busy except on weekends and holidays. My sisters and I went to school in Johor Baru, so we had to wake up very early to ride on the Bas Sekolah. 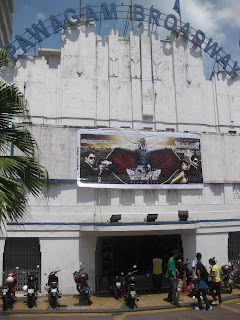 Later, we moved to Johor Baru to stay with our grandparents for several years. In upper Secondary, we moved back to Masai and used public buses to commute to school. Meanwhile, our family became part of the Masai community. Mum was known as “Meesee,” a corrupted form of ‘Missy’ in local jargon for female nurses. For a long time, I was puzzled by the word that local Chinese used to address dad. It sounded like, “Lesa”. Finally I asked dad and he told me that it was an English word, “Dresser” because one of his duties was to dress wounds! My siblings and I, easily recognisable as “anak Meesee,” felt that we enjoyed special privileges especially when we dealt with shop merchants and taxi drivers. After our parents retirement, we would sometimes meet Masai folks and they still refer to us as “Meesee kai kia” (Meesee’s children). Two landmark incidents in the town’s history were proof of the people’s solidarity and their resilience to cope with calamities. 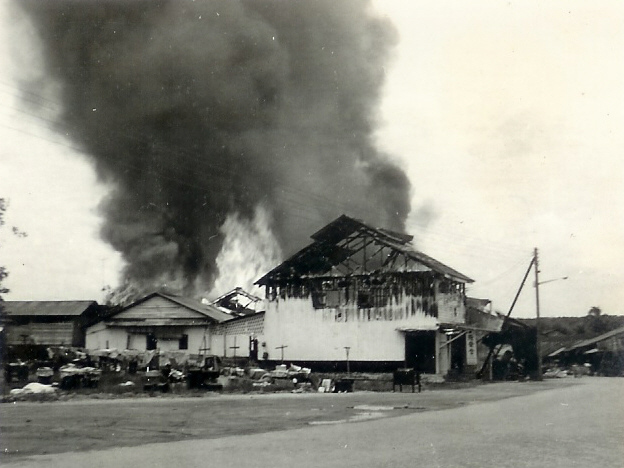 In June 1966, fire razed almost all the shops on the main street. Dad helped retrieve belongings and among other things, he remembers pulling out a heavy sewing machine. After the smoke cleared, rumours were rife that the fire was deliberate because the town was due for redevelopment. The fire indeed paved the way for rebuilding and soon the town had a wider road and two rows of brick shophouses! 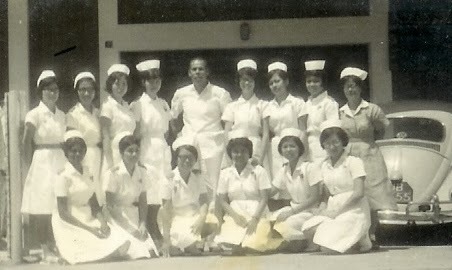 In the monsoon of 1968, floods inundated many low-lying areas and villagers were urged to evacuate to the community hall. With bridges swept away, Masai was virtually cut off from Johor Baru until a temporary Bailey bridge was built. A pregnant woman who lived in a coconut grove, refused to leave her home until the flood water level rose to almost her neck. As she was being swept off by the strong current, she wrapped her arms around a coconut tree and clung on for dear life! Dad was again among the rescue volunteers and he plunged in to help her. As he was taking her to safety, the current was so strong that he had to grasp submerged grass to keep them from drifting. Then dad heard yells and saw a young man clinging to a tree further away so he ran to town and tore a rope off a shop’s window blind. He secured the rope to a tree and using it as a safety line, managed to rescue the young man. After this happy ending, we knew nothing more about the young man but that rescued woman was so grateful that she wanted to give her newborn son to mum and dad! Mum sometimes wondered about what if they had accepted her offer but I thought it would be great to have an Indian brother. In the bustling streets of Masai today, not many can remember the Masai of yesteryears but I have lots of fond memories of Masai-chusettes! While I was at an event recently, I was approached by a gentleman who asked me if I'm Peggy Loh. He may have already guessed it was me because he was a reader who enjoyed reading my Johor stories in Johor Streets and the event MC had mentioned that I was present. So it was just a courteous question to start this conversation. When I told him, "Yes!" he went on to tell me that he and his family are from Masai and they know my family, especially my parents! 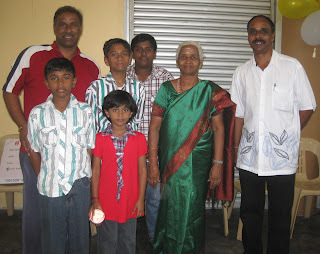 He introduced himself, Gunasegaran, and his brother, Vijayan, who used to live in Masai, close to the bus stand, opposite Anthony's store... and their father, Kandasamy, was a taxi driver. Their mother, Muniamah, was delighted to see me and indicated with her hand, as a measure of my short height when she last saw me as a child! I must confess that I cannot remember much but they have very fond memories of my parents while they were based in Masai. It was a joy to receive their warm wishes to convey to my parents.